You are here: Home / Trading Articles / Looking For The Perfect Trading Strategy? Are you still looking for the perfect trading setup? Are you still caught up in this endless cycle? Find a new trading strategy and trade it. Get a series of winning trades and declare that you have found the Holy Grail, the perfect trading setup. Suffer a (longer) series of losing trades using the same trading setup. For most traders, the search for the perfect trading setup will never end. But the sooner you stop it, the nearer you are to consistent profits. The first step: Recognize why you should stop looking. Who Will Give You A Perfect Trading Strategy? A perfect and foolproof trading setup is like a cash generating machine. It gives you guaranteed profits. And all you have to do is to click the buy and sell buttons at the right time. Absolutely no hard work involved. Just click along, and I’ll see you on the next round-the-world luxury cruise. Anyone promising you a cash generating machine is lying. Stop looking for it. 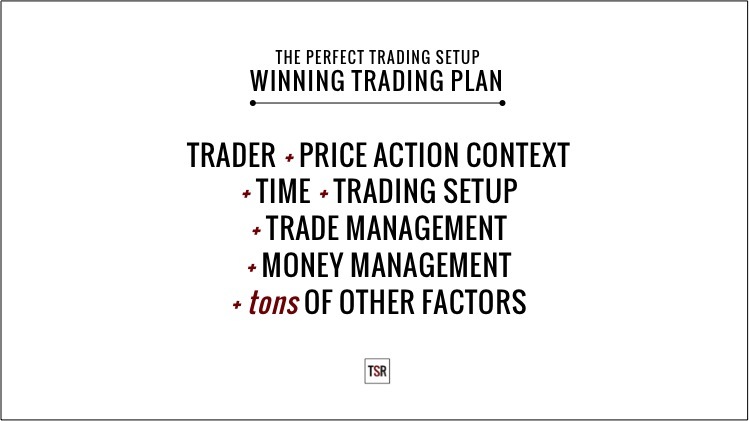 A Trading Setup Is Part Of A Winning Trading Plan. A trading strategy, in isolation, will never make you profitable. You need to follow the rules and judge the price action context. You need to control your emotions and manage the trades. You must not be tempted to risk too much on a single trade. The point is you need a lot more than a trading setup in a trading plan that wins. The only perfect trading setup is one that is consistent with the other moving parts. You must find the right market context for the trading setups. For instance, use the Holy Grail in trending markets and the Bollinger Squeeze in a quiet market poised for a breakout. With experience, you will learn the correct context to employ each trade setup. The trading setup must be compatible with your personality. If you are not comfortable making buy and sell decisions in a split second, you cannot use a scalping strategy. If you cannot withstand extended drawdowns, you cannot trade trend-following strategies that sacrifice win rate for the occasional home runs. A trading setup must be given enough time and trading capital to prove itself. It is not wrong to change our trading setups, but we must have good reasons for doing so. We must also have enough money in our trading account to trade the setup effectively. Back-test to find out the maximum drawdown of your trading strategy. Then, make sure your trading account has more than enough money to handle that. Trading is a game of probabilities. It is simply irrational to judge a trading strategy with a single trade. Take between 20 to 30 trades before evaluating the setup. Keep meticulous records of these trades so that you can find ways to improve it. 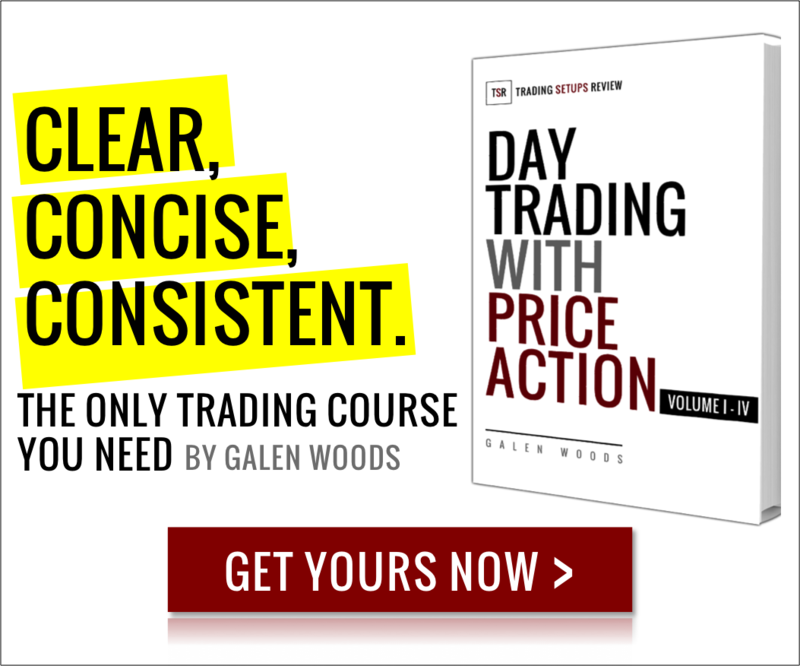 A trading setup that is consistent with your trading plan is your perfect trading setup. The market is not for trading setups addicts. We want to help you find your trading setup, in the right way.